Murrayfield Racers are delighted to confirm that they have agreed a deal for Lothian Motorcoaches to be the club’s official travel partner until the end of the 2019/20 season. The Edinburgh-based travel specialists boast an elegant fleet of modern coaches and refurbished heritage vehicles, delivering a first-class experience to their customers. The company’s executive coaches feature additional space, comfort and seating capacity, along with air-conditioning, reclining seats, footrests, USB charging points and on-board Wi-Fi. 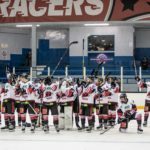 Murrayfield will use Lothian’s services for their important Scottish National League fixture at Dundee Comets on Saturday and for other selected away trips. Racers’ Director, Willie Dunn, said: “We’re delighted to have Lothian Motorcoaches as our official travel partner until the end of next season. 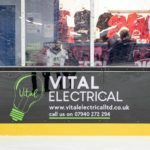 “We first used their services for our trip to face Blackburn Hawks in the NIHL North Cup at the start of January. 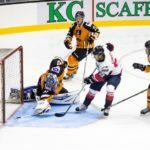 “Our Director of Hockey, Tony Hand, and the players all noted that they arrived in Lancashire feeling relaxed and it certainly reflected in our performance on the night. “We’ve now decided to use Lothian for any future away fixtures that require us to travel by coach. 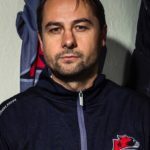 Willie Hamilton, Lothian’s Coaching and Touring Manager, added: “We are delighted to partner with Murrayfield Racers to supply transport for the players and fans. “Our team are fully committed to delivering high standards of service for each and every one of our customers and our partners. “In the last seven months we have evolved our customer offering, invested heavily in our fleet and our people, as well as building key relationships with businesses across Edinburgh, the Lothians and beyond.